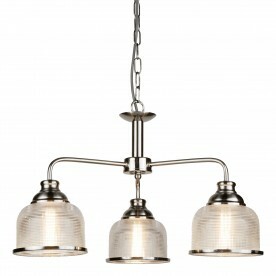 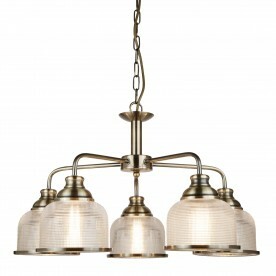 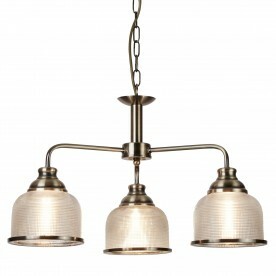 Make an impact using this attractive pendant, fit with a striking combination of antique brass and holophane glass. 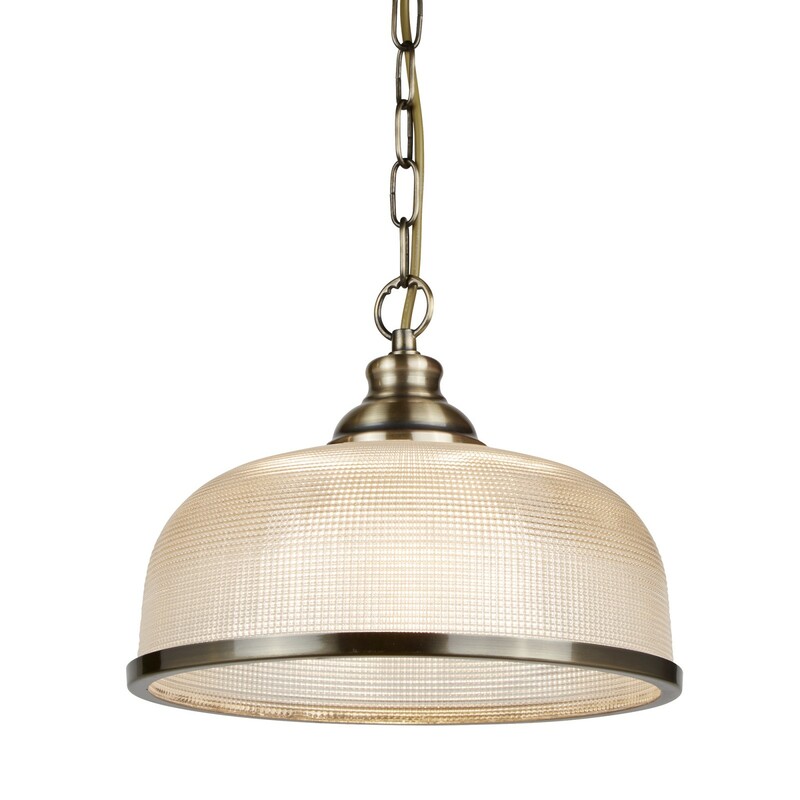 A thick chain suspends to the beautiful ribbed effect shade with a complimentary antique brass trim. 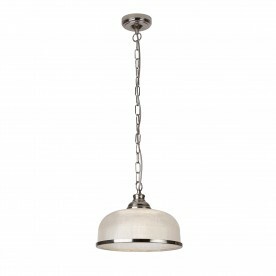 Suspend from a kitchen ceiling to add a traditional touch.